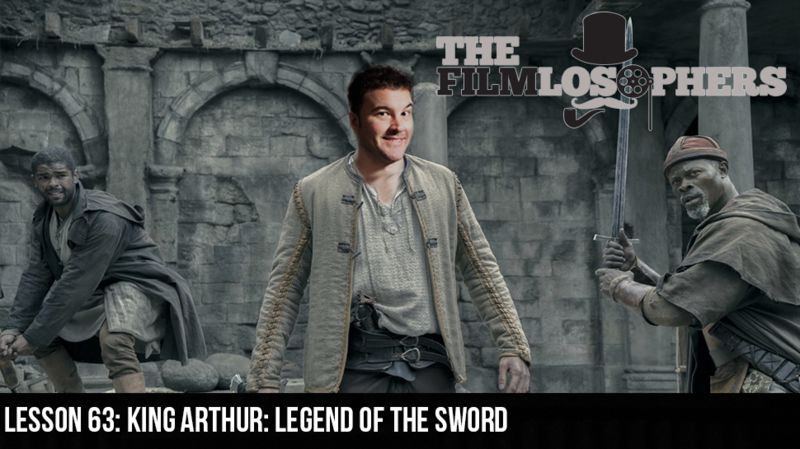 The Filmlosophers, Eddie Villanueva and Chad Riley, pull sword from stone and rack up some hit points in this week’s review of Guy Ritchie’s mythbusting King Arthur: Legend of the Sword (2017), starring Charlie Hunnam, Jude Law, Djimon Hounsou and Eric Bana. With a new, streetwise take on one of Western literature’s most recognizable figures, and a series of sequences that seem plucked straight out of a video game, how does the modernized Arthurian tale compare to the more faithful interpretations of the past? In movie news, the team discusses the latest trailer from War for the Planet of the Apes (2017), due out on July 14th, and the latest trailer from Denis Villenueve’s sci-fi sequel, Blade Runner 2049 (2017), due out in October 6th.